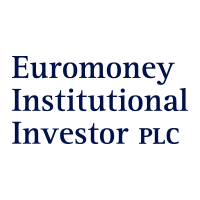 Euromoney Institutional Investor PLC (LON:ERM), the global business information and events group, today announced that it has agreed to acquire 100% of the equity of The Deal, LLC, comprising BoardEx and The Deal, from its parent company, TheStreet, Inc. Combining these platforms, and integrating them with Euromoney’s existing portfolio, will create a powerful and unique workflow tool serving multiple industries. BoardEx is an executive profiling and relationship mapping platform, providing users with accurate, up to date and in-depth profiles of over one million of the world’s business leaders. The platform’s proprietary software is embedded in the workflows of its customers who use it for business and corporate development, executive search and Know Your Client compliance activities. It can be directly integrated into a client’s CRM system. The Deal is a trusted source of data, news and intelligence on mergers and acquisitions, activist investing, private equity and restructuring. Its digital subscription product is one of the market-leading brands in deal-driven intelligence across the US. Its data, particularly on the individuals involved in a transaction, provides further depth to the relationship mapping output of the BoardEx platform. Both products are highly complementary to Euromoney’s existing portfolio, serving a number of shared customer groups, particularly investors, banks and professional services firms. Euromoney’s ability to add transactional relationship information from a number of its brands, including IFLR, IJ Global and Global Capital, will provide additional powerful data to BoardEx and open up new adjacent sectors in the relationship mapping market. The combined products have a consistent track record of growth in revenue and EBITDA over recent years and this trend is expected to continue. In the twelve months to 30 September 2018, The Deal, LLC’s unaudited revenue was $25.2 million. Revenues are derived predominantly from selling subscriptions which have high renewal rates. On completion, Euromoney will pay $87.3 million in cash for BoardEx and The Deal, funded from its existing facilities. 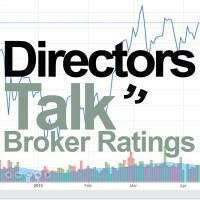 Completion is subject to the approval of TheStreet Inc’s shareholders and other customary closing conditions and is expected to take place during the first quarter of 2019. The acquisition is expected to be earnings-enhancing for Euromoney in its current financial year. Click ERM for the full archive.